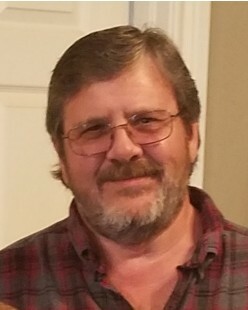 Robert "Robbie" D. Shults, 56, of Duncan, OK passed away Friday March 22, 2019 at his home in Duncan. Services will be 2:00pm Thursday March 28, 2019 at the Don Grantham Funeral Chapel with the Rev. Cory Lucas officiating. Interment will follow at the Rock Creek Cemetery, Duncan. Services are under the direction of Don Grantham Funeral Home. The family will visit with friends at the funeral home Wednesday March 27 from 5-7pm. Robbie was born in Duncan, OK to Claudia and Bill Shults on Sept. 7, 1960. He graduated with the Class of 1980 from Duncan High School. Robbie married Lori Kay Zimmerman on March 30, 1990 in Comanche, OK. He enjoyed fishing, motorcycles and road trips and being with family and friends. Robbie was everyone's "Mr. Fix It" and could be counted on to help with anything! He was a machinist at Halliburton Services, where he made many friends that were a big part of his life. Robbie is survived by his wife Lori Shults, of the home; his mother, Claudia Shults; a brother, LeRoy Shults and wife Vickie and two sisters, Linda Shults and Cindy Bradburry, all of Duncan. He is also survived by his loving in-laws; and many nieces and nephews. He was preceded in death by his father, Bill Shults. Pallbearers will be: David Davies, Robby Stephenson, Gary David, Jim Thomas, Charles Johnson and Willie Cottrell. Click here to view a webcast of the service on 3/28/2019 at 01:50 PM, Central Standard Time.